Groups can still seek financial support as long as they don't request the "immediate exchange of funds," the airport said. (CNN) -- Dealing with panhandlers won't be part of the travel experience anymore for fliers passing through California's Los Angeles International Airport. A decision Wednesday by the 9th U.S. 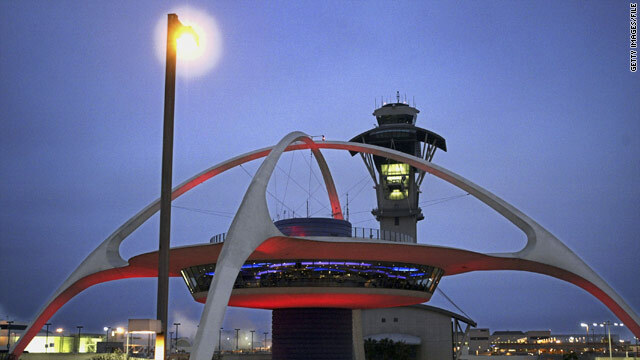 Circuit Court of Appeals clears the way for the airport's police to enforce a Los Angeles city ordinance that prohibits groups from soliciting and receiving money in the terminals, parking areas and sidewalks of the airport. Violators face a penalty of up to six months in jail or a fine of $1,000 if convicted. "This is a huge step forward in ensuring the comfort and safety of the traveling public at LAX," said Los Angeles World Airports' Executive Director Gina Marie Lindsey in a statement. "From now on the traveling public will not have to worry about solicitors asking for money." The decision comes 13 years after the International Society for Krishna Consciousness of California sued Los Angeles, alleging that the city ordinance banning groups from seeking cash donations at the airport violated the state's Liberty of Speech Clause and the First Amendment. The group also argued on its website that the "negative and aggressive tactics" used by devotees in the 1970s stopped 25 years ago, which cut down on the number of complaints from the public. "If somebody says no, devotees leave them alone and move on to the next person," said Amarendra Dasa, a longtime lawyer for the International Society for Krishna Consciousness. "We don't approach people in ticket lines or security lines, we don't bother them while they're getting their baggage or while they're in the food court; and of course, we're always offering something of value, our spiritual books." An injunction prevented the city from enforcing the ordinance. But earlier this year, the California Supreme Court upheld the ordinance. Wednesday's decision by the federal appeals court lifted the preliminary injunction. Organizations can still hand out literature and speak to willing travelers, and they can still seek financial support as long as they do not request the "immediate exchange of funds," the airport said.